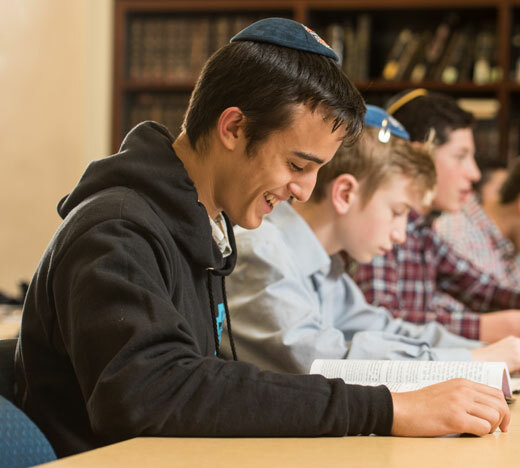 Yeshiva University’s Bronka Weintraub High School Bekiut Program is an extra-curricular opportunity for students to advance and continue their Talmud learning outside of the classroom. Each year, the program holds a competition to test the students’ knowledge, and this year saw record numbers of close to 500 students from 29 schools across North America taking part. More than 200 of those students completed all five of the program’s tests. To prepare for the competition, each student can choose between doing the “Daf-A-Week” program, preparing half a masechtot [tractate], or the “Amud-A-Week” program, preparing a full masechtot over the course of the year. 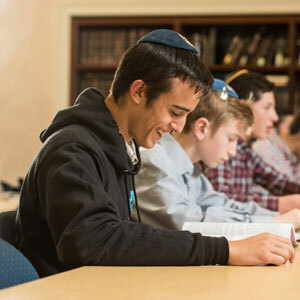 Students sign up to learn with a class or a chavruta [study partner], and throughout the year they utilize materials provided on YUTorah and take five challenging tests to display their knowledge on the material they have learned. For each test a student passes, he or she receives money towards the purchasing of seforim [books]. The top three grand prize winners win up to $3,000. This year, two of the winners in the boys category are students at The Marsha Stern Talmudic Academy/YU High School for Boys. Kovi Pahmer ’20YUHS came in first place of the Boys Amud, earning a 99 percent, and Yehuda Snow ’19YUHS, came in second place of the Boys Daf, earning a 100 percent. Steinmetz, a current student at the Rabbi Isaac Elchanan Theological Seminary (RIETS), works on the program with Rabbi Ezra Schwartz, Rosh Yeshiva and assistant director of RIETS. The other winners of the program include Raphael Nassimiha of North Shore Hebrew Academy, Evan Zauderer of The Frisch School, Jacob Colchamiro of Rae Kushner Yeshiva High School, Yonah Berenson of Yeshiva University of Los Angeles High School, Ora Hochberg, Nili Raskas and Batsheva Leah Weinstein of Ma’ayanot Yeshiva High School for Girls, Sara Rivka Khodadadian and Shoshana Reichman of The Stella K. Abraham High School for Girls and Eliana Abraham of Yavneh Academy.